At our school, Collective Worship is a time when we come together as a community to share and build on our school’s Christian values. In Collective Worship, we have plenty of opportunities for spiritual development and developing a sense of awe and wonder. We have an opportunity to worship God, think about our own beliefs and understand those of others. We also welcome parents and members of our local community to our collective worship which can be held in the school hall, outdoors or at our local church St. Mary's. The children spend time working together as they respond to the what they listen to. Have a look at some of our Collective Worship themes and photos at the bottom of the page. ​Throughout the year we welcome many visitors to lead our Collective Worship, including our local vicar Reverend Luke and our local Methodist Minister, Reverend John. 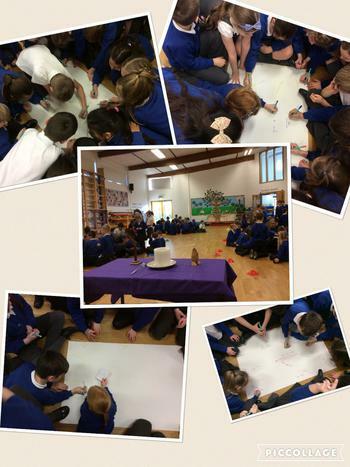 All staff, and children, are involved in planning and delivering collective worship. 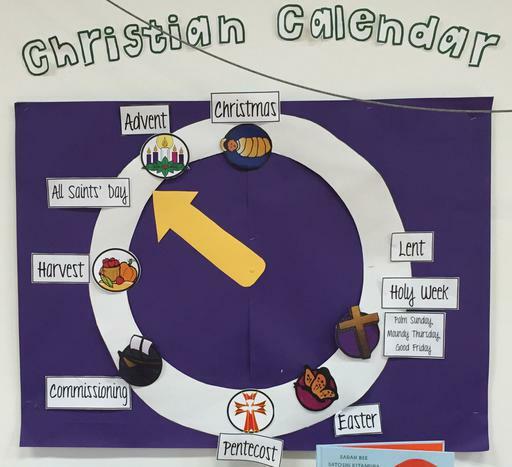 Our collective worship is based around termly Christian values and the liturgical calendar and rooted in the Christian faith. You can find out more in our Collective Worship policy.